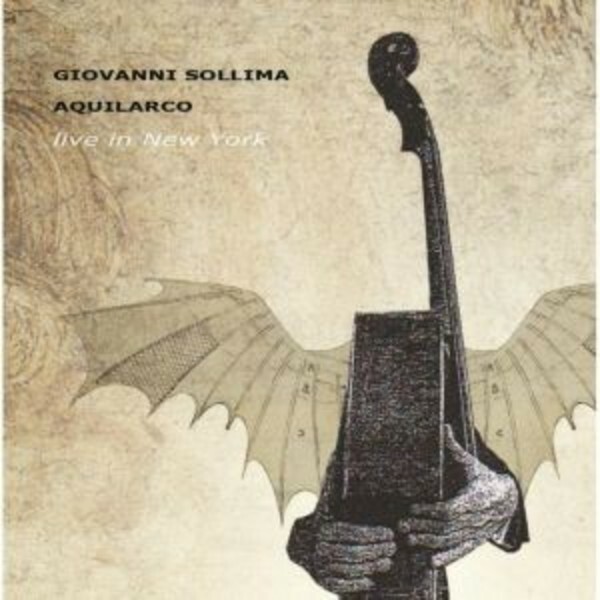 Cellist Giovanni Sollima's ‘Aquilorca’ project was born in 1998, commissioned by the Point Music label, under the direction of Philip Glass, who described Sollima as "a fresh exciting talent on the new music scene". 'Aquilarco - Live in New York' features the music from the original recording which was deleted soon after its release, when Point Music was closed down. Born in Palermo into a family of musicians, Giovanni Sollima studied cello with prestigious teachers and began an international career as a cellist, collaborating among others with Claudio Abbado, Giuseppe Sinopoli, Jörg Demus, Katia and Marielle Labeque, Victoria Mullova, Riccardo Muti, Patti Smith, Philip Glass and Yo-Yo Ma. The music Sollima composed for ‘Aquilorca’ has been used in various movie soundtracks and it has been choreographed by dance companies including the Dayton Contemporary Dance Company, Compania Nacional de Danza in Madrid, the Pennsylvania Ballet in Philadelphia, the San Francisco Ballet and Les Ballets Jazz of Montreal.